Mara Construction, a San Francisco Bay Area remodeling specialist, is celebrating 21 years of beautifying homes. Anthony Maramonte has been in business for 21 years. We pay attention to detail, budget and schedule. I put a lot of emphasis on listening to the homeowner’s ideas and incorporating them. Great communication is crucial! Mara Construction, a family-operated general contractor in Contra Costa County, is celebrating 21 years of East Bay kitchen remodeling, bath remodeling, home additions and general renovations in the East Bay. Anthony Maramonte started the construction company in February 1990, after beginning his career as an apprentice carpenter in the union and then as a journeyman. 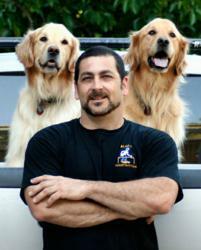 “Anthony Maramonte has been in business for 21 years. For the past 19 years, all his business was by word of mouth. His attention and flexibility to his customers and their needs is what continued his good reputation. With the times changing economically, Anthony’s commitment to his customers has stayed the same,” says a satisfied customer. Mara Construction is a small company that offers prompt service with attention to detail. Projects range from small, $2,000, to new construction, $1 million plus. Prospective clients can call for free estimates, and Maramonte is always happy to help with design concepts. Mara Construction also takes on foundation repair (re-leveling, structural or drainage), retaining walls and electrical wiring. Maramonte told the Orinda News in an interview that what kept him dedicated to the business all these years was the challenge of problem solving. “I like to take something that is messed up, fix it and make it look terrific. It is like a puzzle. We tear it down and put it back together. Most of all, I enjoy creating things that endure,” he said. “We pay attention to detail, budget and schedule. I put a lot of emphasis on listening to the homeowner’s ideas and incorporating them. Great communication is crucial,” says Maramonte, who also has extensive experience working with local architects. For more information about Mara Construction’s 21st anniversary or any of Mara Construction’s products and services, call them at (510) 250-3770, view them on the web at http://www.maraconstruction.com/, or visit their location at 47 Lost Valley Drive in Orinda. Mara Construction is a Bay Area general contractor that specializes in new custom builds; design and engineering; home additions; remodels; kitchen remodeling; bathroom remodeling; doors, windows; tile; paving; electrical, custom wiring; foundations: re-leveling, structural repair, drainage systems; and retaining walls. Mara Construction serves the San Francisco East Bay Area, including the communities of Orinda, Lafayette, Lamorinda, Walnut Creek and Oakland.